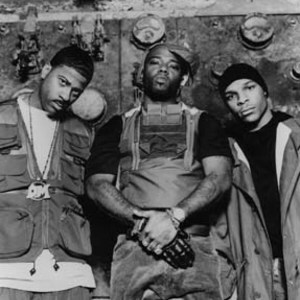 Naughty by Nature is a hip hop group that at the time of its formation in 1991, consisted of Treach, Vinnie, and the DJ Kay Gee. The group formed in East Orange, New Jersey, and first appeared on the music scene in the late 1980's releasing an album titled The Independent Leaders, under their then name The New Style. The album generated the minor hit "Scuffin' Those Knees". After the release of their first album, the group was subsequently mentored by fellow New Jersey native Queen Latifah and consequently changed their name. In later years, Naughty by Nature started their own music imprint, Illtown Records, and released an album from their proteges the Rottin Razkals. The group (mainly Kaygee) worked closely with a number of rnb groups over the years particularly Zhan&eacute; and Next.